This noise is driving me crazy!! It’s so bad I can feel it in my seatbelt. I can’t hear the engine or the road, or Ry Cooder’s clanging guitar, come to that. I’m driving my Honda Jazz to the garage to have the clapped-out bearings replaced. I’ve had one lot done but the noise has got worse. It’s 40 minutes of aural torture, then relief, I hope. I book it in, then walk the half-mile on the path beside the noisy road, to the garden centre. A huge Alsatian starts barking crazily at me: enough to deter the casual visitor, but I’m here for breakfast, and to while away the hourandahalf it takes to change the bearings. A burly waiter(? – I don’t know what to call a man who serves breakfast in a garden centre) welcomes me. 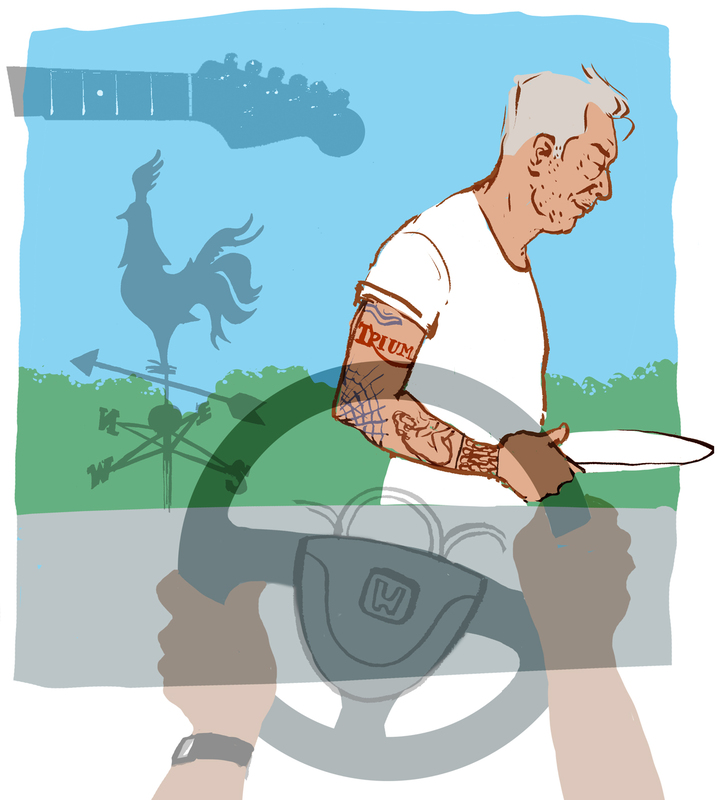 He’s an old rocker – the softened Triumph tattoo and quiff are the clues – and friendly, but the hash browns are off because the chef hasn’t arrived yet.